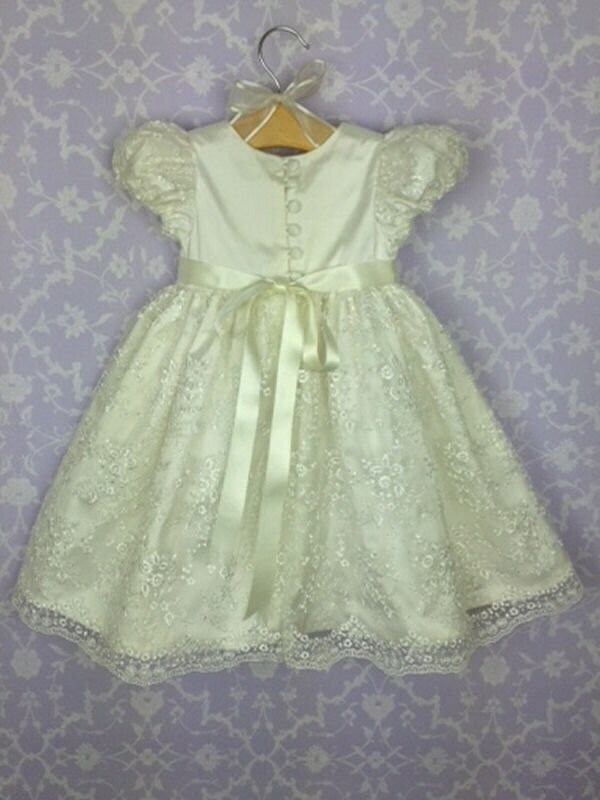 This gown offers all the luxury and detail of a long gown and is ideal for the baby who is now toddling. 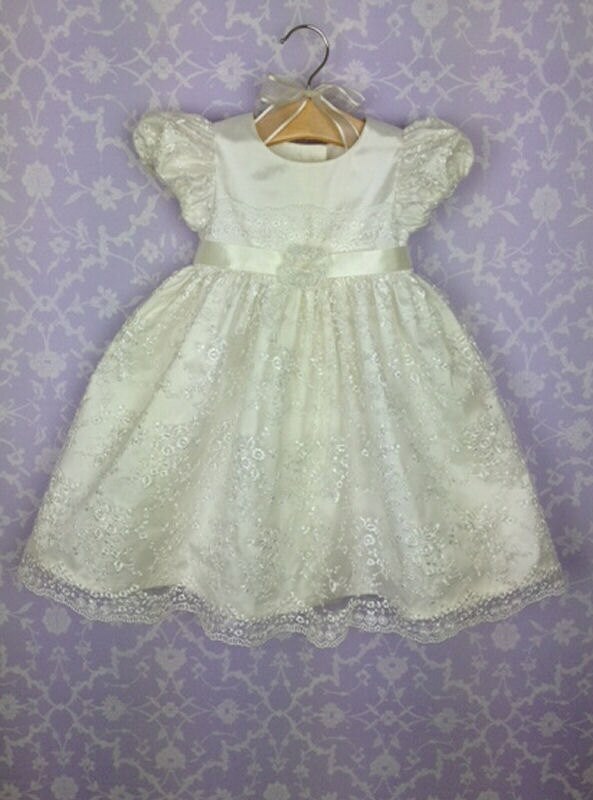 A full skirt of lace over silk and with lacy sleeves and bodice detail any young lady would be delighted to be seen in such a flurry of lace. 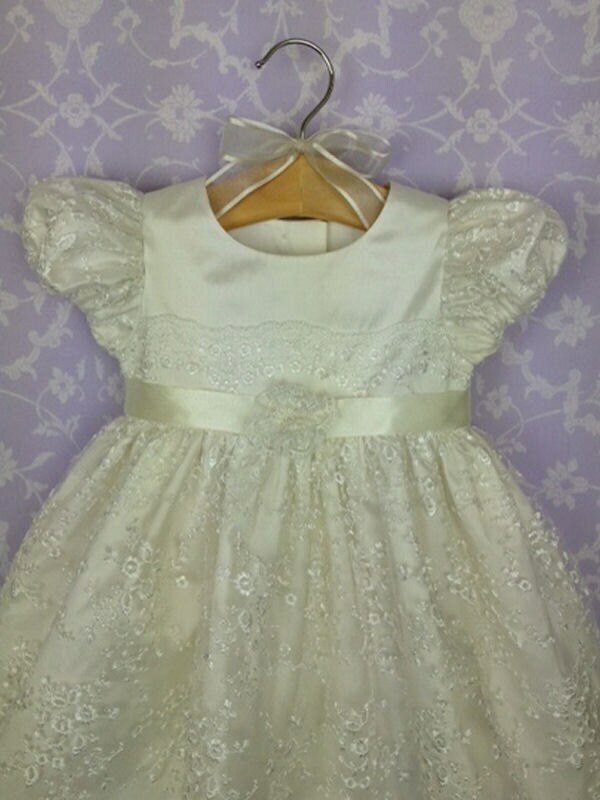 The bodice is finished off with a ribbon sash and lace rosette . 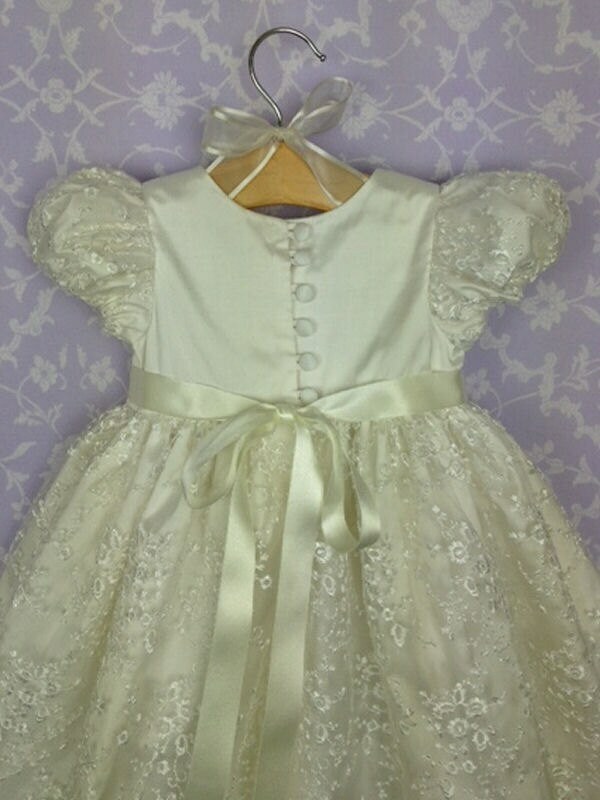 The back of the dress features covered buttons and rouleau loop fastenings and the ribbon tails of the sash. Matches any of our accessories , the Constance bonnet uses the same lace.